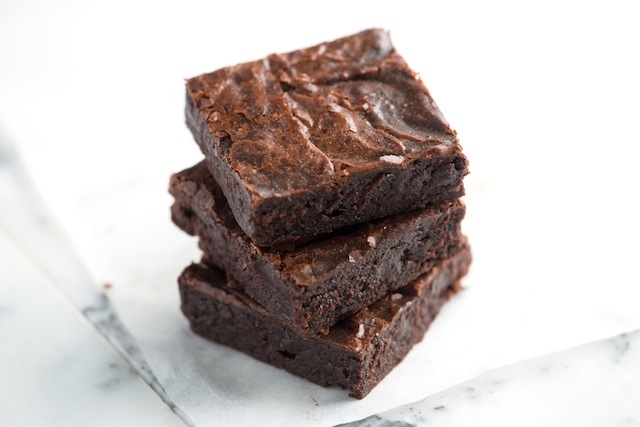 The recipe you use matters , and here’s why: Most people fall into two brownie-related categories: Those who prefer cake-like brownies, and those who want them on the fudgier side. To make the brownies of your dreams, you’ve got to first know which type of brownie you prefer. 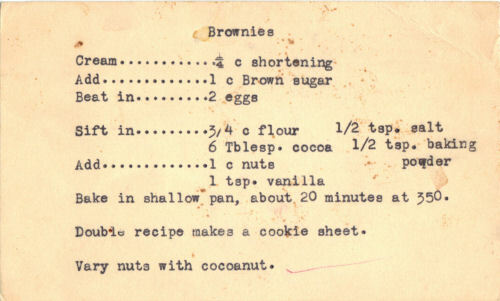 If you’re into cakey brownies, go for a recipe that is reminiscent of, well, cake: For example, if your instructions include the act of creaming together butter and sugar you’re probably going to be making a cake-like brownie. Which is great, if you’re into that. If you prefer fudgey brownies, look for a recipe that has a higher chocolate and butter-to-dry ingredient ratio. Brownies don’t require a lot of ingredients—so the ones you use should be really grea t. Instead of purchasing ubiquitous “baking chocolate,” just grab chocolate that you’d want to eat on its own. Go for the good stuff—this isn’t the time for cutting corners or making due with an inferior product. And what about cocoa powder? While you can use it, the test kitchen warns against doing so casually—its flour-like properties make for a cakey batter which, although super chocolatey, is definitely drier than the dense, gooey brownies many people aim for. Since we’re talking chocolate, it’s time to lose the miniature chips: They contain stabilizers, Saffitz explains, which don’t melt well, and also add things into your batter that just don’t need to be there. Instead, use bar chocolate and chop it into big chunks; it’ll melt slowly, making rich, ultra-chocolatey brownies. 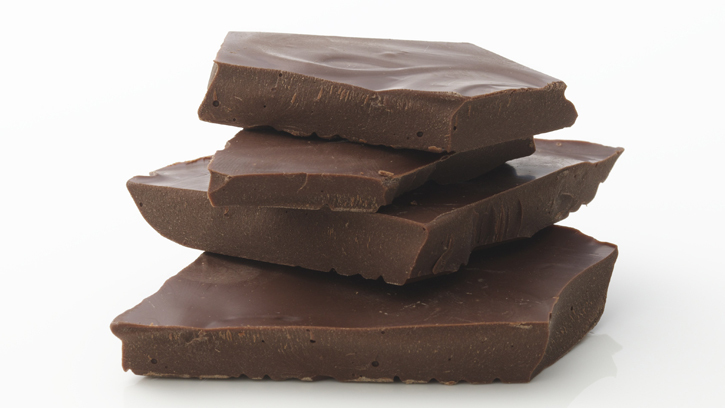 A great mix is a mix of dark chocolate (around 72%) and semisweet. Yes, you’re going to need to melt your chocolate. But don’t combine screaming-hot-just-melted Guittard to your eggs, butter and sugar—it’ll cook and scramble the eggs, not to mention potentially burn the chocolate. Speaking of temperature, make sure to bring the rest of your ingredients to room temperature before combining. Does it take a little planning to remove those eggs and butter from the fridge an hour in advance? Sure, but they’ll combine much better than when chilly, yielding a smoother, creamier batter. Here’s a cheat: If you forgot to take your ingredients out of the fridge before beginning, stick them in warm (NOT hot!) water for about 15 minutes. We’ve all seen brownies with intricate flavor combinations, but honestly, are you ever really craving a chocolate-chipotle-raspberry-lime brownie? Pick one “extra” flavor or add-in, like chocolate, cream cheese, or nuts, and stick with it. The point here is to enhance the chocolate’s flavor—not mask it. Underbaking makes for gooey, melty brownies, right? Wrong! Underbaking your pan of brownies means you’ll be eating, well, underbaked brownies. Always follow your recipe’s baking time (toothpick test doesn’t work here!) and bake your brownies until they’re done. The right texture is all in the right recipe; it’s not about the cooking time. To make sure you don’t overbake your brownies, it’s worthwhile investing in a clear Pyrex pan—that way, you can keep an eye on how things are looking. What size and shape should you use? The test kitchen overwhelmingly recommends an 8X8 straight-sided square pan. It’s all about the crispy corners. 6. Get ‘em while they’re hot! Restrain yourself! The brownies will continue to set as they cool down, as well as develop flavor. Plus, they slice and come out of the pan much easier when properly cooled. But, if presentation doesn’t matter and your appetite can’t wait, then go for it!